When it comes to sports, girls are often discouraged from continuing to play because of their gender. That's a message that's not worth listening to, says this new Olympic-themed spot from Procter & Gamble's Always. 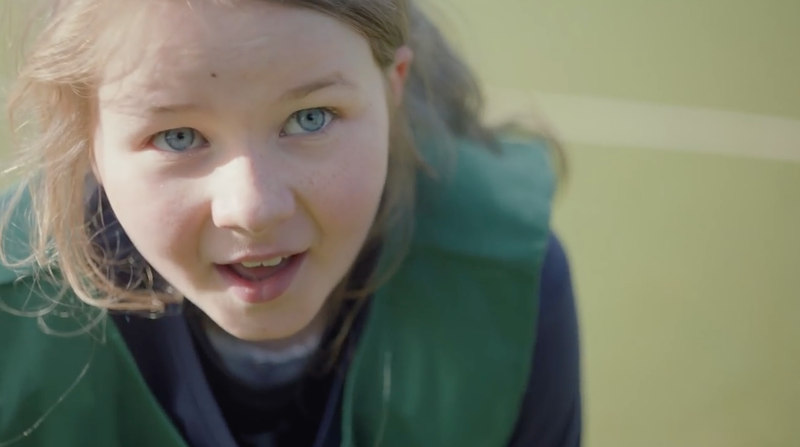 Part of the ongoing "Like a Girl" campaign from Leo Burnett, the P&G brand's new 60-second film was created with documentary filmmaker Nanette Burstein, whose pro-girl résumé includes STEM ads from Microsoft and this Knorr mini-documentary. While it still uses social experiment elements from Lauren Greenfield's original "Like a Girl" ads, the brand's latest work moves the girls outside and shows them in their own environments. According to Always' research, half of girls quit sports by the end of puberty; that's something Always wants to change. Why? If girls keep playing sports past puberty, it can help their confidence. "The Olympic Games are a time when, all around the world, female sports participation is elevated in the public eye. And for that reason, we could not think of a better moment to drive awareness of the critical role sports play in building girls' confidence," said Michele Baeten, Always associate director. To launch the spot, Always partnered with soccer star Alex Morgan, who tweeted it out. Morgan also shared her own story of discouragement: "At age 13, one of my coaches told me that I wasn't good enough. As a young girl just wanting to play and do my best, that was difficult to hear. It would have been easy for me to quit, but I wouldn't be the confident person I am today if I had." Even if the work might be a bit obvious, the campaign's evolution makes sense. And it's nice to see Always find ways to make its social experiments more visually compelling. Plus, it seems to be working; the film has already racked up more than 1.5 million views on YouTube in less than a day.